On Monday in Detroit, Ford unveiled the most powerful vehicle it’s ever made: the 2020 Shelby GT500. The high-performance Mustang variant comes with a supercharged 5.2-liter V-8 and more than 700 horsepower. (That’s considerably more brawny, for instance, than the 460-hp Mustang GT and the 526-hp Shelby GT350R.) It can get to 60 mph in just over three seconds and claims the best track times of any Mustang ever built, Ford Motor Co. executives said at the debut. It also has the largest brakes of any domestic sport coupe the company has produced and, in a first for the segment, a seven-speed dual-clutch transmission that allows drivers to shift gears in the blink of an eye. There are very few greater Joys in life than slamming the pedal to the metal on a V8 let alone a Shelby V8. The sweet joy of screaming tires leaving a cloud of white smoke with the scent of burning rubber…… god bless the return of the muscle car. The pistons on that thing must be massive. Patrick, I can still hear my father bitching at my brother for drag racing the family V-8 about 1977. He brought home the transmission in a box, with the 1 inch thick steel driveshaft twisted like butter. LOL. Whatever the numbers, they’ll come from a supercharged DOHC 5.2-liter V-8 derived from the one-rung-lower GT350’s engine. 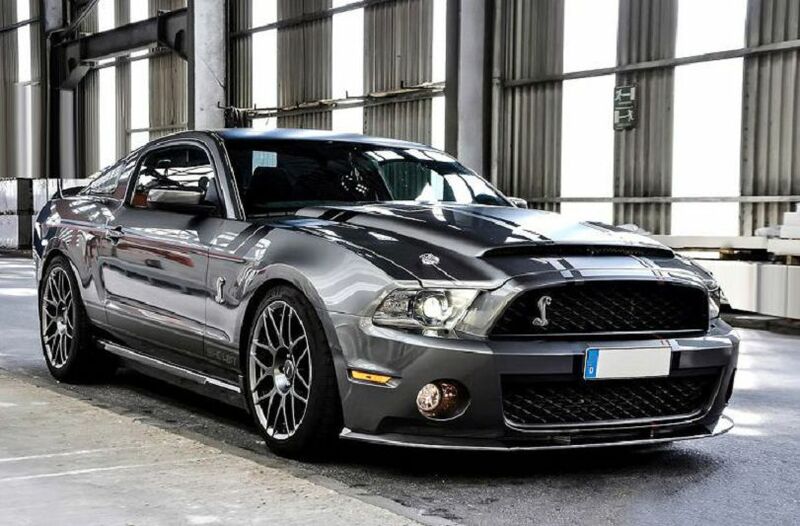 The GT500’s shares the lesser Shelby’s 94.0-millimeter bore and 93.0-millimeter stroke but not its flat-plane crankshaft, and it redlines at 7500 rpm, 700 lower than the naturally aspirated engine. But who needs insane revs when an Eaton TVS R2650 supercharger is nestled atop the engine? yeah with that power crap happens…..
Yup, an amazing looking motor. we pay approximately just under $8 a gallon here in the UK. The planet will be just fine Harri. Mankind on the other hand…..
A mid life crisis mobile if ever there was one. Eddie, Nice story. I can still hear the sound of glass packs from my youth in the 1960ies. There’s no manual gearbox, only automatic. The Mustang has always been a great looking motor, Ford’s best design. And a V8 with 700 horses under the bonnet will be something the gods will hear. Then someone decides that it will be an automatic. Was that the day all the sensible people worked from home? Glorious indeed, but as practical as wearing a boxing glove and trying to scratch your arse. I will stick with the Range Rover. Harri, it’s a ‘Stang. What’s practicality got to do with it? As well as it’s looks, particularly that bonnet which confirms the driver has an enormous willy, I’ve love them for the cost. The Mustang has always been the working man’s sports car. A decent Ferrari will always be beyond most people. The Mustang will give you similar performance for a fraction of the cost. America obviously doesn’t have as many speed cameras as we do? And its fuel is cheaper than water. Very impressive but it’s a technological blind alley. Fuel crisis gas shortage and Ford will again be badly placed against Foreign imports. Lighter small engine petrol turbo are the near future. I have two. One a 68 plate Suzuki Swift..One litre turbo. Little rocket ship…ok all things are relative but while the Stang will leave it for dead on a straight. Give me a twisty road and its more even. It weighs about 850kg…about the weight of the Stangs fuel tank isn’t it? Dogisgreat, you are probably right about the next fuel shortage, but right now petrol here is $1.74/gallon. It’s literally cheaper than water at the market at $1.99/gallon! every reborn muscle car in the last ten years has been sold out before they’ve come off the production line. The nation still mourns the v8 and it’s an underlying cause for the green movement to be hated that runs deep….. I was always a chevy muscle car man I had 3 camaros 68, 69, and a 71. The rest of my cars were Lincolns and Cadillacs plus 2 suburbans. yesterday was my 31st wedding anniversary. I did not get to do my usual post for my lady so I place the song here…. a day late, a dollar short, but with a heart full of love…. Congrats to you and Monica! Well done Pat and commiserations and kudos in equal measure to the long suffering Monica (joke 😉 ). Looks like a great beastie alright, although with those specs there’d be almost no circumstances in which you’d actually be pushing it to its limits, at least not on the public roads. There’s something more gratifying about an engine screaming at you “Whooah, not quite so hard!” than one which can easily do more than anything you can reasonably ask of it. The temptation would probably be the death of me, so I won’t trade in my A5 yet! Pete, agreed, although auto tx’s are getting pretty good these days I’d still prefer the option to switch to manual, even though I’ve heard that modern auto-tx designs make it detrimental to the life of the box.